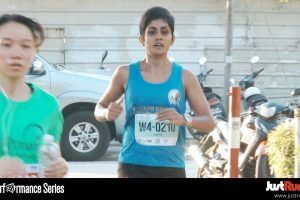 Race Review: The Performance Series Malaysia 2017 @ Penang (by Ranjetta) | JustRunLah! The half-marathon is my favourite race among all distance events. I’ve often felt that the half-marathon is an appropriate distance to challenge the mind, body, and soul: it does not tax the body too much as other endurance races, and yet it is long enough to dispel the doubts a person might have about his or her stamina levels. I usually join two to three half-marathons a year just to see where I stand in terms of fitness. 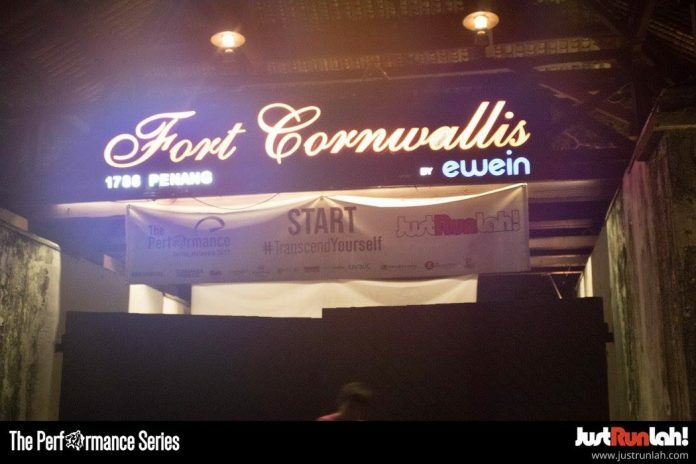 No effort was spared by the organisers in advertising The Performance Series. 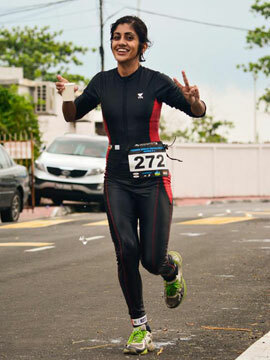 Smitten, I made the decision to run the 21 km race in Penang after the daily bombardment of advertisements on my Facebook wall. 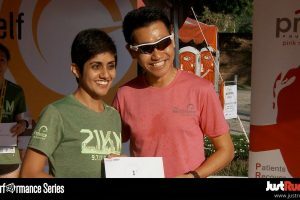 Being an ardent collector and wearer of race T-shirts, I was especially taken by the tee designed for this event. A plus point for this race was that it was being held in Penang, and I love running in Penang! 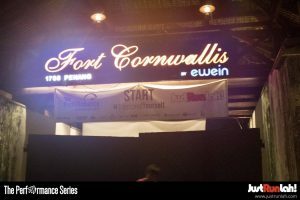 As all on race days, I could not help but feel a little nervous as dawn began to break at Fort Cornwallis on 9 July 2017. Loud music and bright lights electrified the air as race participants arrived at the event and began warming up. I chugged down the last of my sports drink and made my way to the starting point as the clock ticked down to 6 am. The 21 km race began on time, with a gun sounding off the participants. The runners meandered through famous landmarks and World Heritage sites in Penang at the beginning and end of the race, making their way up to the almost zero-gradient Jalan Burma, Jalan Kelawai and the sloping hills of Jalan Tanjung Bungah before looping at the Flamingo Hotel and returning via Persiaran Gurney. Running the route was a pleasant experience, especially made so by the cool temperature and low humidity level in Penang that morning. Safety personnel were amply provided at every junction along the race route to man the traffic flow as the race progressed. Five hydration stations were provided along the route for the 21 km race, all supplying water and Lucozade, and bananas at the 11 km mark. I found full support as I raced along the route that day. Helpers at the event shouted words of encouragement as runners kept to their battles. Many regular Sunday morning runners and cyclists waved, smiled and called out their support to the race participants as well! Their support was a definite spiritual boost at the hilly Tanjung Bungah road, where many runners were depleted in strength after struggling up the hills in the first half of the race. A great relief washed over me as I made the final loop at Jalan Tun Syed Sheh Barakbah and headed back into Fort Cornwallis, with a time of 1:51:30 (gun time). I was immediately given a medal, a potential podium finisher card and a finisher tee, as well as food and drinks a few steps away from the finishing line. Participants of the 5, 10 and 21 km race began to arrive in droves at the finishing line. Everyone mingled and relaxed as the organisers scurried to prepare the results as fast as they can. The writer huffs and puffs as she approached the finish line. The writer smiles widely as she receives her winner’s entitlements. 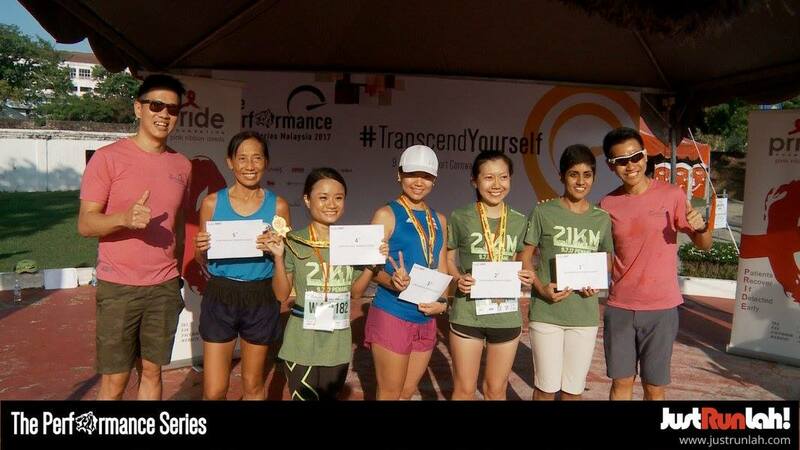 Winners of the Women Closed category at The Performance Series Penang. The organisers of the race did not dally in announcing the results, as the first batch of prizes were given out at 8.30 am. 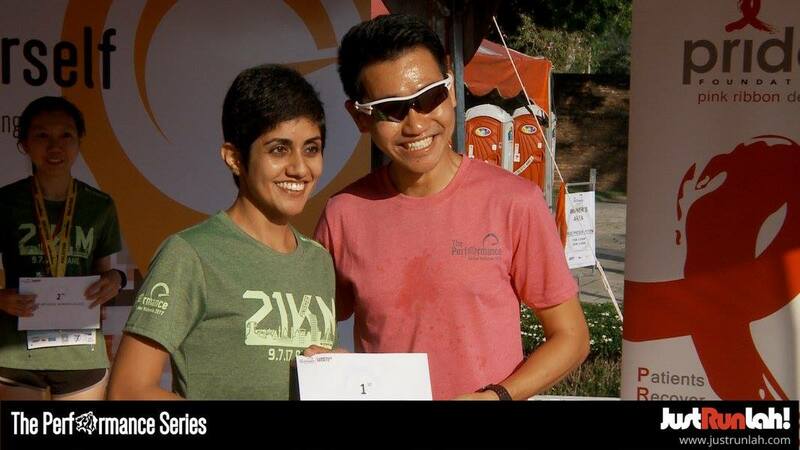 I was surprised and thankful to discover that I was the champion of the 21 km Women Closed category. I was gifted with RM 200 and an RM 300 shopping voucher from Qoolmart.com. I was also fortunate to have been asked to comment on healthy lifestyle choices by Pride Foundation Malaysia, a charitable organisation that champions efforts to enhance awareness and improve accessibility to treatment and care of breast cancer. 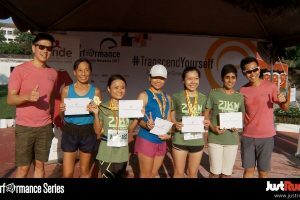 The event wrapped up at around 9.30 am, with most runners scrambling to look for breakfast joints in the local food paradise located just a short jog away from Fort Cornwallis. 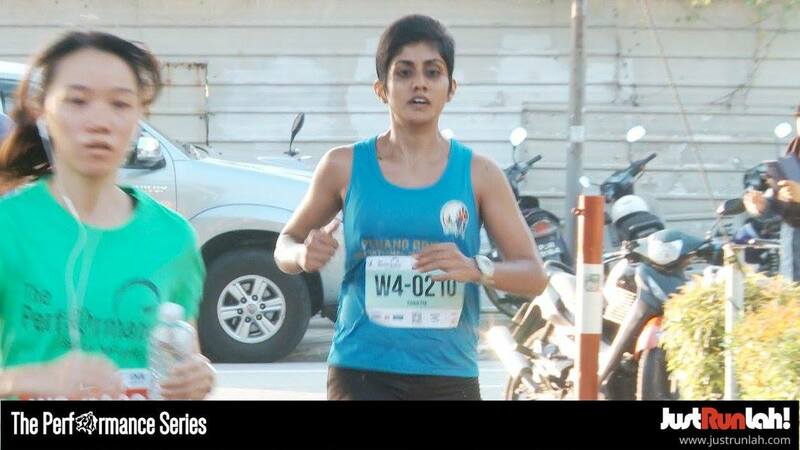 As I was halfway back home, I realised that I misplaced my winning bib number and potential finisher card at Fort Cornwallis in my excitement of winning the race. This race was an enjoyable experience.